The new Apple iPhone 7 lacks a separate headphone jack, which makes people wonder how they can charge the phone while listening to music through a wired headphone via the Lightning connector. Apple's answer: a separate dock that starts at $39. Sure, Apple says the new iPhone 7 and 7 Plus will have a longer battery life, so you won't have to charge them as often, but many puzzled potential users took to Twitter to complain that the new phones won't be able to do the technological equivalent of walking and chewing gum at the same time. "I regularly charge my iPhone and listen to music during flights, and I'm sure there are a number of times you might need to do this," writes Tom Warren of The Verge. Apple's decision to do away with the headphone jack makes people uneasy because it removes a choice that they had, says Jonathan Sterne, author of The Audible Past: Cultural Origins Of Sound Reproduction. "You're increasingly locked into the decisions of the company whose platform you use," he told NPR's Audie Cornish. 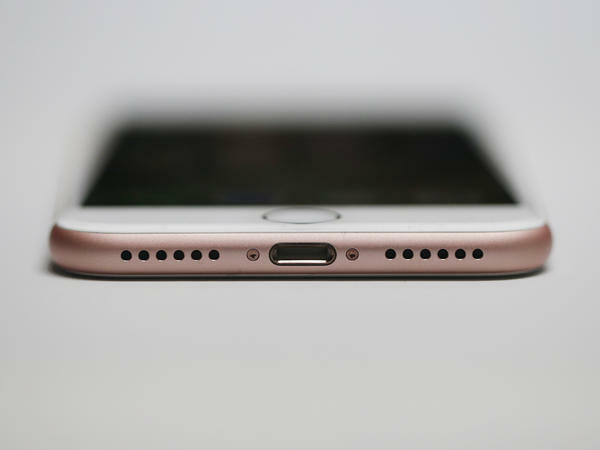 "And so the headphone jack, which — let's face it — is just another plug to plug things into, becomes symbolic of Apple's constantly changing products. And I think it's a little disturbing to people because it's a reminder that they're really not in control of their media lives." At the iPhone 7 unveiling event, Phil Schiller, Apple's senior vice president for worldwide marketing, said the company took away the classic headphone jack because the time had come. "The reason to move on [is] courage," he said. "The courage to move on, do something new that betters all of us." But Rob Price of Business Insider wasn't buying it. "It just so happens that this courageous move will make Apple a whole lot of money selling awkward accessories," he wrote. Schiller also suggested the Lightning dock in an email to a user who had written him about the charging-while-listening issue, according to Mashable. "I hope that helps," Schiller wrote. There are other potential solutions, like third-party adapters that are sure to come and battery cases — but some people don't like the extra bulk and weight for their sleek phones. And some fans wish Apple had added a wireless charging feature, like some of its competitors.